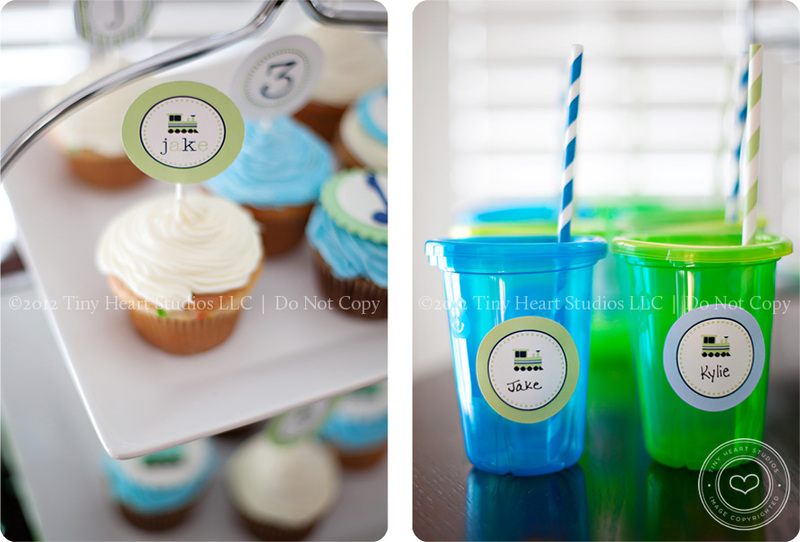 It was a beautiful day for his party and I had done much of the work in the month or two leading up to the day. Which is a good thing because I was bed-ridden with Strep Throat the day before! 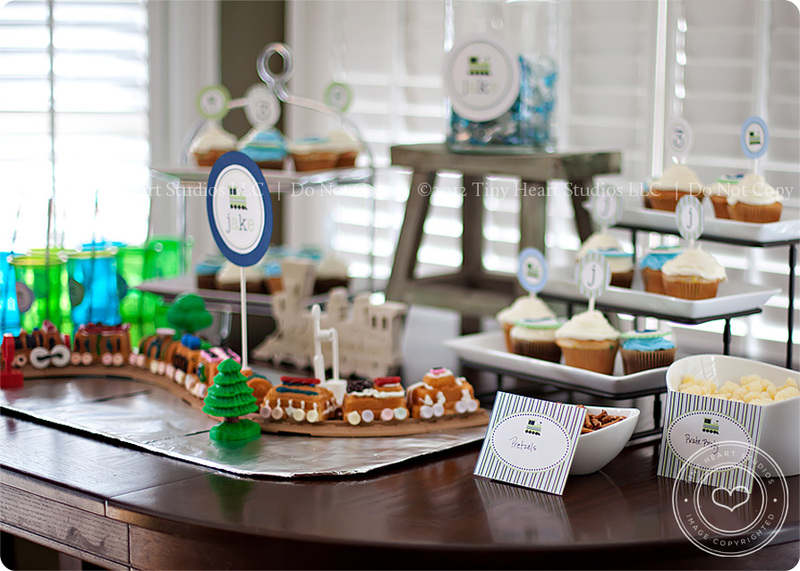 Thank goodness for Aunt Laurie, who not only helped with all the awesome decor (cupcake toppers, banner, thank you circles, etc. 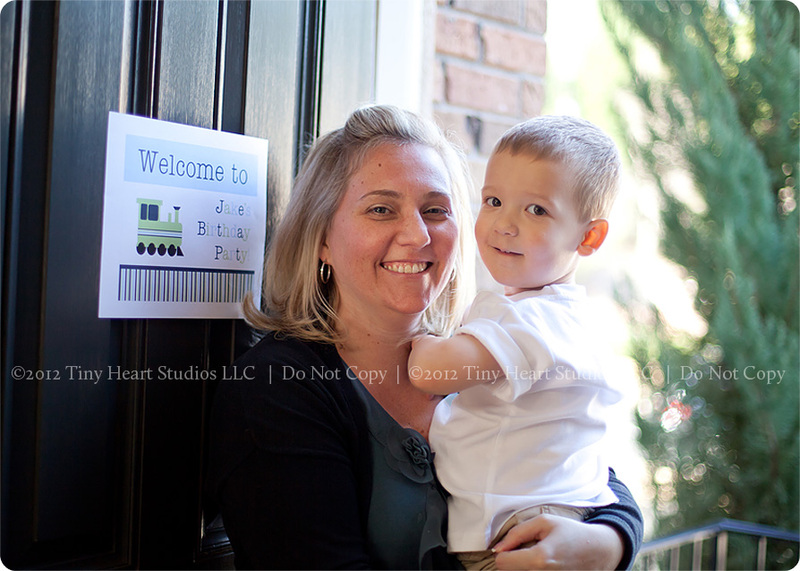 ), but also arrived early and helped us get everything set up. 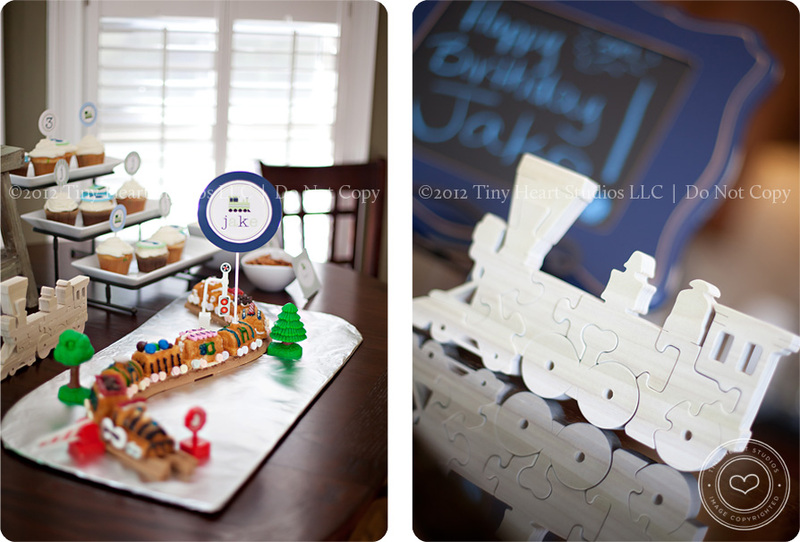 Jake had requested a ‘green’ party, and we added in the trains for a fun theme. 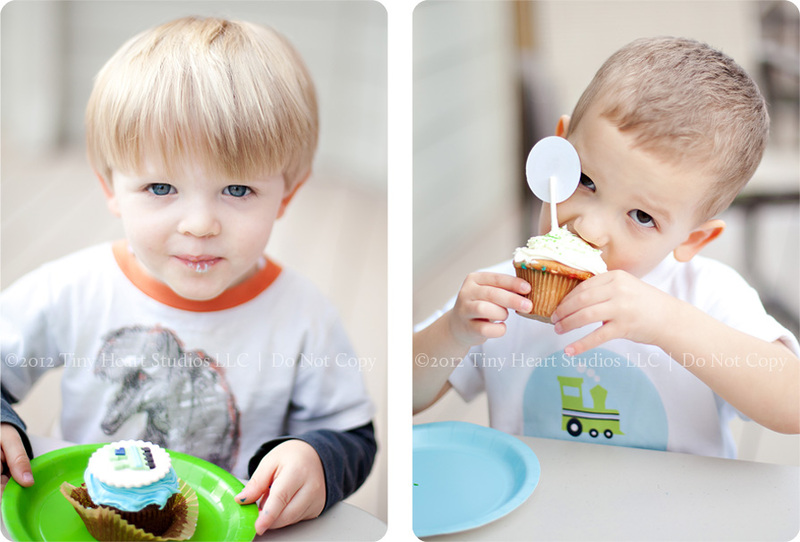 Kylie got to have her BFF over for the party and we told them they could help us with the little kids. It was a great time! 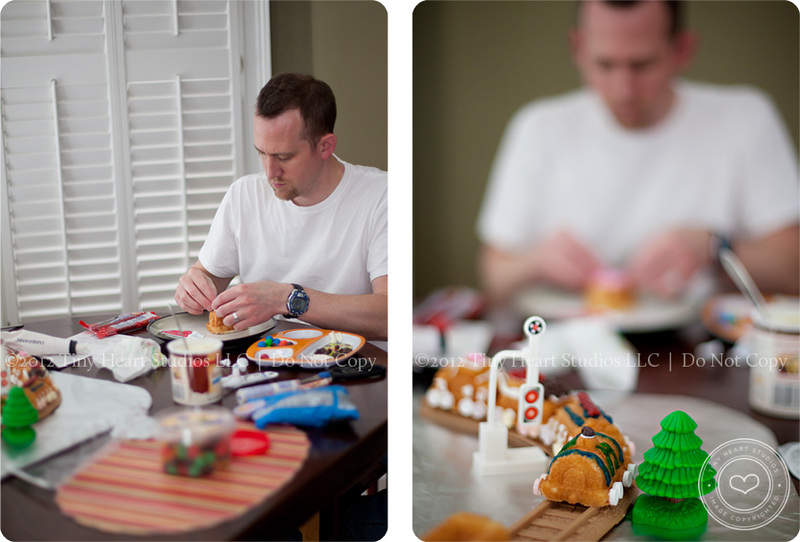 To start off, here’s Daddy working on the train cake. 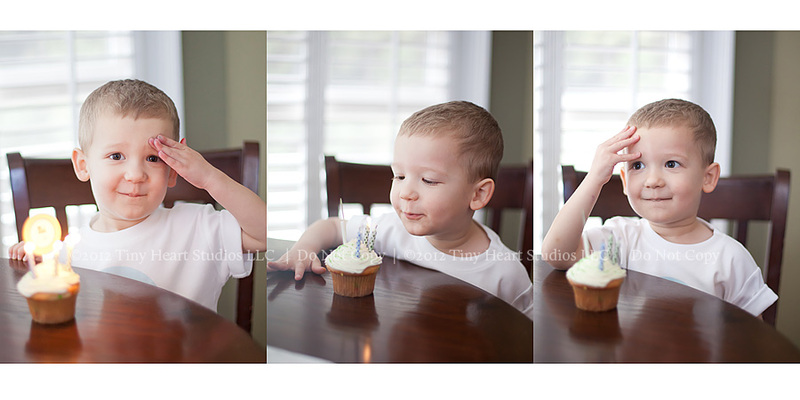 This was Jake’s self-proclaimed FAVORITE thing about his birthday. 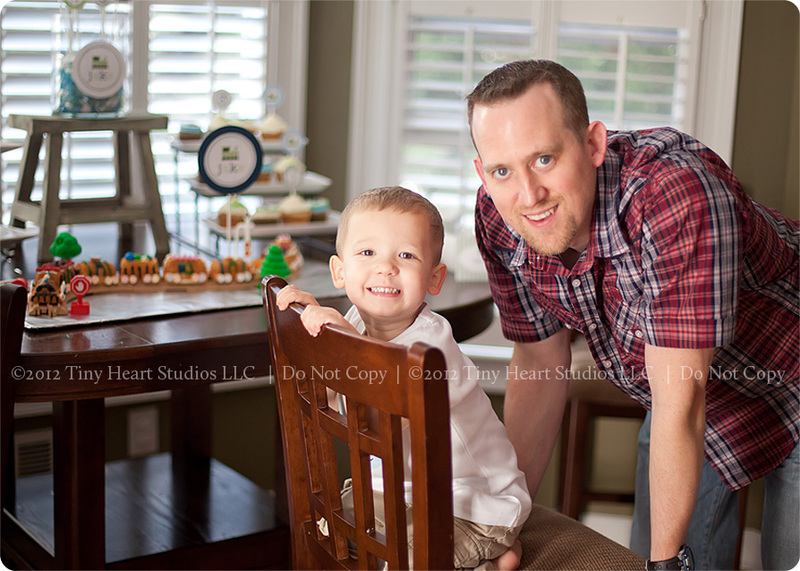 I often found Jake hovering around the party table, waiting for a quiet moment to sneak some candy off the cake. 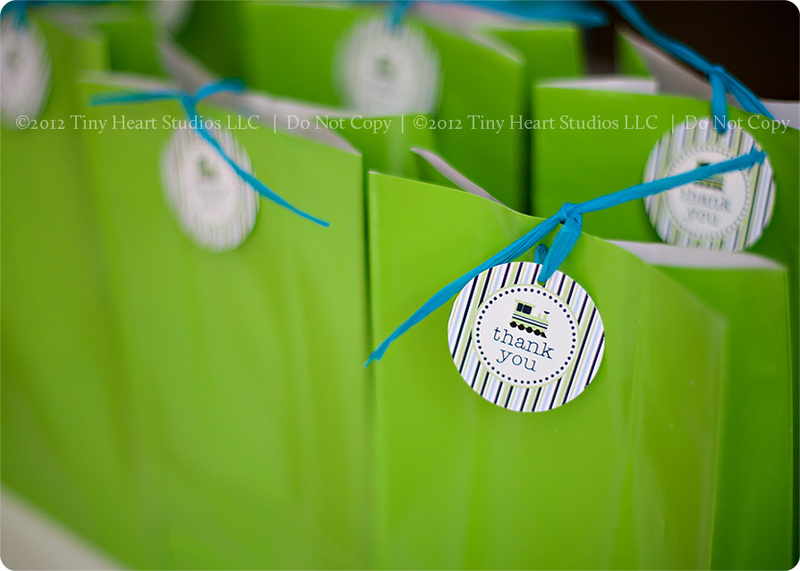 Thank you bags with train whistles and train lollipops. 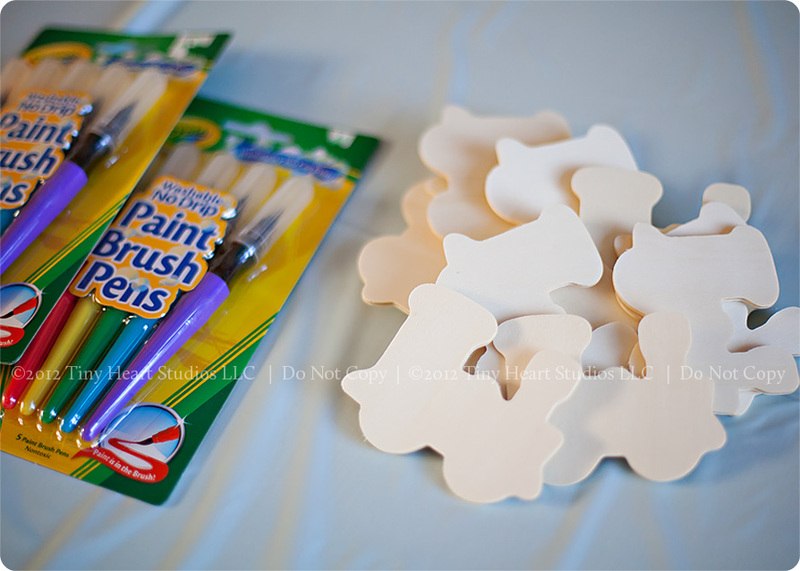 Our train cut-out craft magnets for painting. 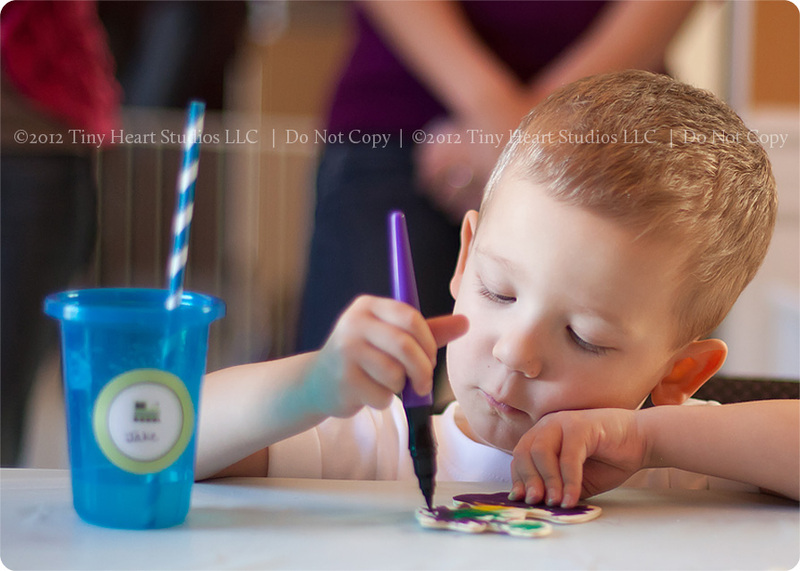 My little man – hamming it up! 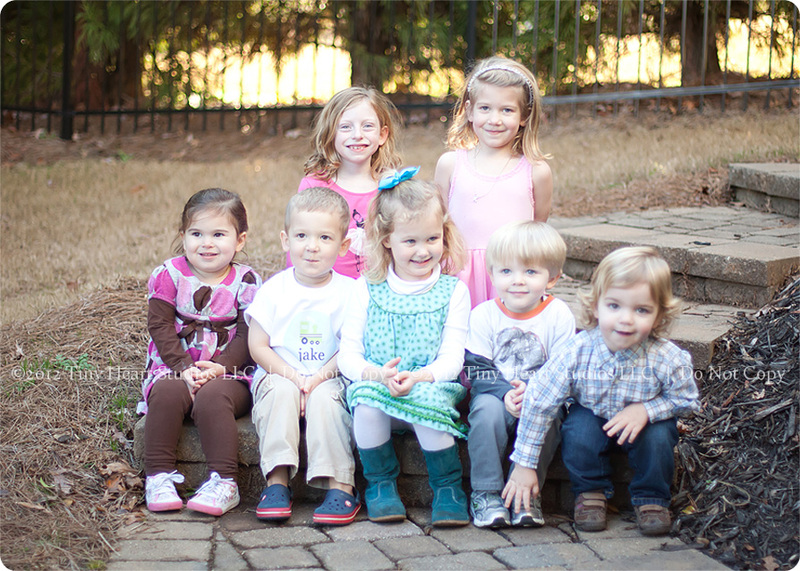 The whole group! 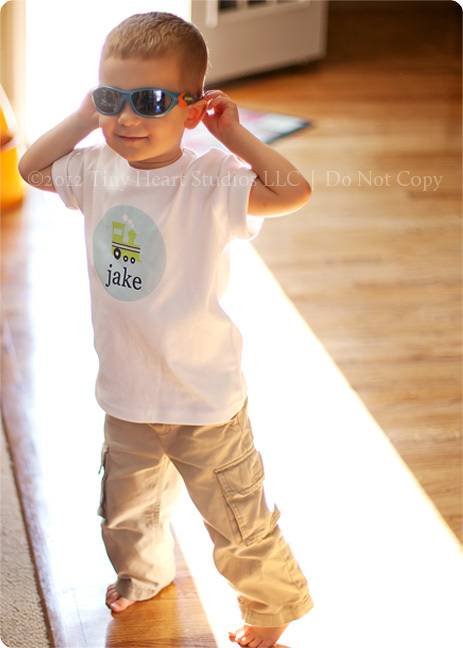 Jake’s best bud, Anna, who he has basically grown up with. Plus, three friends from school and Kylie and Ainslee (our helpers) in the back. 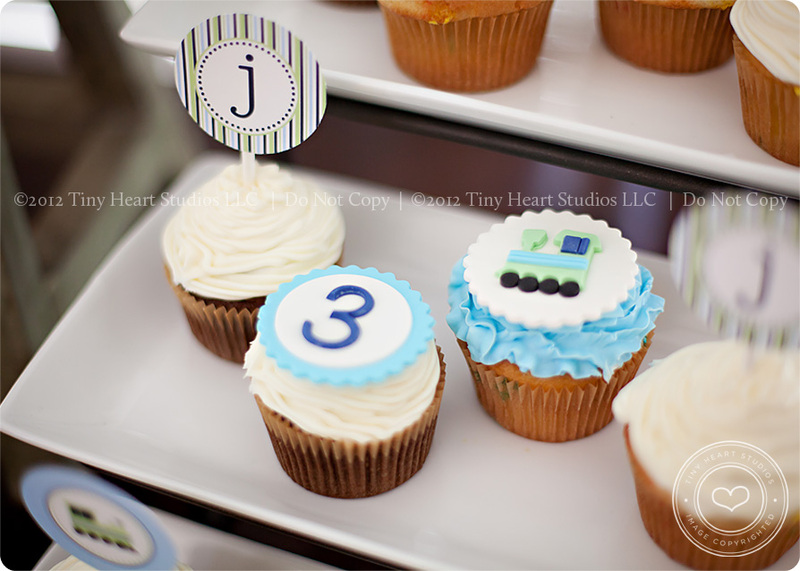 The train theme was from TomKat Studio, and the cupcake toppers were from Parker’s Flour Patch on Etsy. 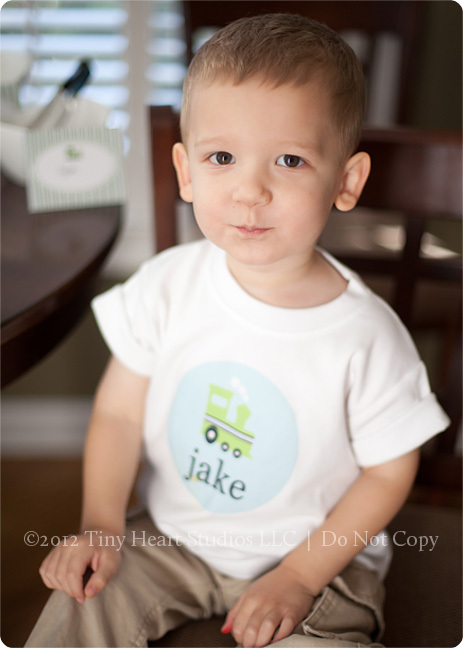 The custom Train T-Shirt was from Smitten and Company and the super-cool train puzzle was from Grandpa’s Workshop on Etsy. Something cool: As many of you know, I always put a quote in my Monday Love posts. I find them from various sources on the internet. While searching recently, I found a website with tons of Dr. Seuss quotes and I have to say – that man was brilliant! Though most of his quotes are in his children’s books, they definitely pertain to adults as well – even more so! Here are a couple awesome quotes at the top of the list. You can view more HERE.